Incremental backups that are just snapshots of your minecraft folder! What? You heard me! 85% disk savings* over regular snapshot backups! * unless you chunkload your entire world, or keep a very small amount of snapshots anyways. How is this possible? Hardlinks. If you are a seasoned system administrator you already know about them. 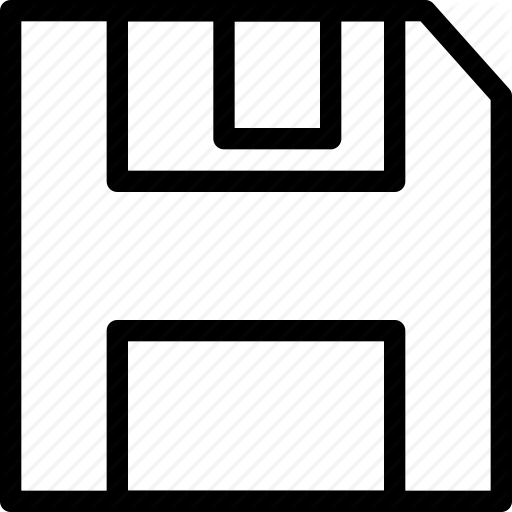 If not, hardlinks are a way to have multiple filesystem entries for the same file without taking up extra space, and your computer that can run minecraft already supports them! BTFU takes the compromise-work out of deciding how often to back up by doing it constantly (every 5 minutes), and just being efficient. As it goes, it prunes the backups, keeping only a specified number of them (128 by default), and the pruning is logarithmic, so that you will have more frequent backups in your recent history, but it still keeps assorted snapshots dating back to the start of your world. You are free to delete snapshots as desired (eg to trim old history, or if you restored a prior backup) and it will let the count reach the limit again before resuming automatic pruning. This is because even with incremental backup, taking 5 minute snapshots forever would fill your disk. Other backup mods I've found all had one of two problems: either they back up very infrequently (hourly or worse), or if they do support incremental backup, do it in some format where you have to use the mod's own tools to do any restoring. Because of the possibility for better efficiency, many minecraft server admins already use a version of the backup scheme described above that inspired BTFU. In fact, if you already have such scripts, including calling save-all flush before backups, then BTFU is simply another way of automating what you already have. There's no magic here! I simply found it very convenient to have my favorite backup scheme automated out of the box as a forge mod. So you don't need BTFU, but if you're currently keeping infrequent backups, few backups, or no backups, BTFU is here for you with an easier way to do backup the way the linux wizards do backup. Once you configure your backups directory, you can forget about BTFU until something goes wrong. If it has issues taking a backup, it will print log messages. Otherwise it will stay quiet and do its job. There are two major threats to your world. This mod is here primarily to defend against world corruption from buggy mods or other issues. The other threat is underlying issues with your disk or filesystem. If you want BTFU you to defend against those, then it is up to you to ensure your BTFU backups directory is on a separate disk. It should go without saying that backing up to a folder right next to the server folder, won't help if that hard drive dies. The only way to get perfectly consistent backups is to fully shut down the server first. For example, say some player deposits an item from mod-based storage into a vanilla chest right before a backup, and the mod doesn't respect the save-all command. The resulting backup might have that item duped, because it exists in both the synced chest and the old un-synced version of the mod's storage. These issues are not likely to be a serious issue or hose your server, but the possibility is something to be aware of. Even if you use BTFU, it might also be good to occasionally shut down your server and take an offline backup. Personally, I don't bother. Up to you. People's interest fuels my modding. A simple comment like "hey I put this on my server, it's kinda convenient" could make the next update come sooner! Reports of any issues you have, or any suggestions for the future, even better. Hi, author, I am the owner of a small server. My server uses this mode. That would be great. It automatically backs up the server in time and saves it on the server, so that when the server goes wrong, I can restore the server faster. But I have some problems. 1. It will automatically backup faster. My server doesn't have enough storage space. It always backs up my storage space in flash, so I still play on the server, but because of the lack of storage space, it crashes. 2. I can't see a backup of it in the game. So I would like to make the following suggestions. Adding instructions enables us to use instructions to control its 1. Switch, 2. Backup interval, 3. Backup integrity (whole server or world folder). 4. When do you remind us to step back in the game? Because I am the owner of a private server in China, so I have less experience in opening the server, so I can see that such a convenient style of course is a strong support for its development. But I can't speak English, so this comment was translated and produced by Baidu. There may be some confusion. Okay, so I installed BTFU yesterday, seemed like exactly the backup program I was looking for as I was running out of space for backups. This morning my disk is completely full and the server crashed, despite the fact no one actually logged into the server and did anything. And it made a backup every 5 minutes? And I can't change that in the config file (two backups a day would be enough for me)? Am I expecting unreasonable things from this mod? Or am I doing something wrong? Also, as you mention disk space savings in your description, you might consider having it do something better when it sees disk space is low, such as shut the server down cleanly after warning the users in chat, rather than just fill up the disk until the server crashes in a bad state. It's that it doesn't take up as much space on disk per backup, because files that don't change from one backup to the next are handled as filesystem-level links. You can't edit the backup interval, but you can limit the total number of backups it will keep. I wouldn't suggest going as low as 2, but if you set it to something like 16, it won't actually take up 16 times as much space as your minecraft server. It will likely be more like 3-5 times as much space. If you are dealing with windows, then see my response to NewMilenium below information on correctly counting used space when hardlinks are involved. i'm trying to use your mod on a minecraft 1.12.2 server. The machine running it is on Windows 10 pro. It seems there is no hardlink done; instead, the whole folder is copied every 5 minutes. Checking the size taken by the backup folder (or on the disk), using both Windows and Treesize, shows it is actually growing each time by the current total size (714 MB so far). Do i need to install anything so that the hardlink are actually done? Or am i missing something? So... I believe what's happening here is just that windows tools usually don't expect hardlinks and aren't good at accounting for them. I do know windows itself will miscount the size. Googling around, it looks like sysinternals has released a windows analogue to the classic du (disk usage) utility, which won't doublecount hardlinked files by default. There's always the option of counting your change in free disk space as you create or delete backups, but that's a pain. I'm also a treesize user, but I looked into it, and it seems like accounting for hardlinks is a feature of their professional version (which I don't have). I can't seem to find any free GUI tool for this on windows, so I must recommend the command line du utility I linked. Thanks a lot for your detailed answer. Big respect to your precision, your searches and your will to maintain a good mod. Looking at the details of each backup, it's even more confirmed. Thanks again for your big help and congratulations for your mod! Thanks! I can't read that, but cheers. The only download link is your link. This page is the only download address. The mod is open source and you are free to share it anywhere. Please consider linking this page so people can check for updates! Is there any way to manually start a backup? I want to be able to do a backup before doing something risky, kind of like a quicksave. "model" - what is this folder for (in Backups folder)? Is this the main backup I should restore and on top of it still install a backup with a timestamp? model is where the mod syncs backups to behind the hood, before making the timestamped hardlink copies. The latest successful backup will always get a timestamp name, and in rare circumstances, "model" could contain an incomplete or aborted backup, so always use a timestamped backup. The phrase "there's an error" implies that there is more information you should be giving me. I would need to know what the error is. The config file has standard naming. It does not have any commands yet.